Summer is almost here which calls for all sorts of hair problems and one of these is dandruff. I recently started having dandruff problems again and I’m afraid that it will get worse during the summer when the sun is scorching which is why I decided to try out some Korean hair treatments. I’ve always mentioned that my hair is so messy. To be honest, I love curling my hair but I’m not really good at it and I don’t want to do further damage to my hair by practicing my (non-existent) curling skills. 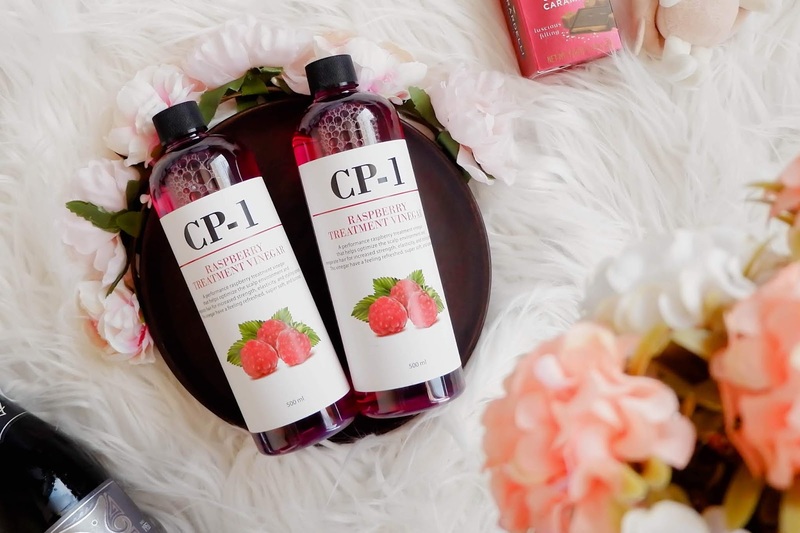 Hence, I will try to focus on fixing my hair first which brings us to my CP-1 Raspberry Treatment Vinegar review. It comes with a rubber stopper which is apperception because Baby Q likes playing with the bottles in the shower. It has a small hole to dispense the product, much like a toner's. This makes it easy for me to use since I shower with my baby and thanks to the small hole, I was able to directly apply the product onto my scalp rather than pouring it onto my hand first while maintaining control on the quantity dispensed. 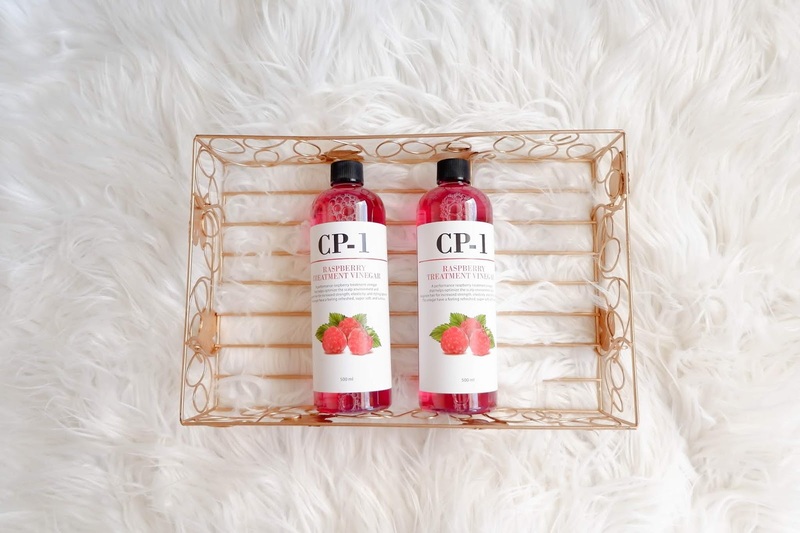 The first time I used the CP-1 Raspberry Treatment Vinegar, I skipped out on the conditioner and yet my hair felt soft all day long. It smells deliciously sweet, just like raspberries! It left my hair with the same mild scent. I really love the cool and refreshing feeling on my scalp when I use this product. Ever since I can remember, I would scratch or pick on my scalp when I get really stressed out. This causes dandruff to run amok on my scalp, and sometimes, even some hair fall off. 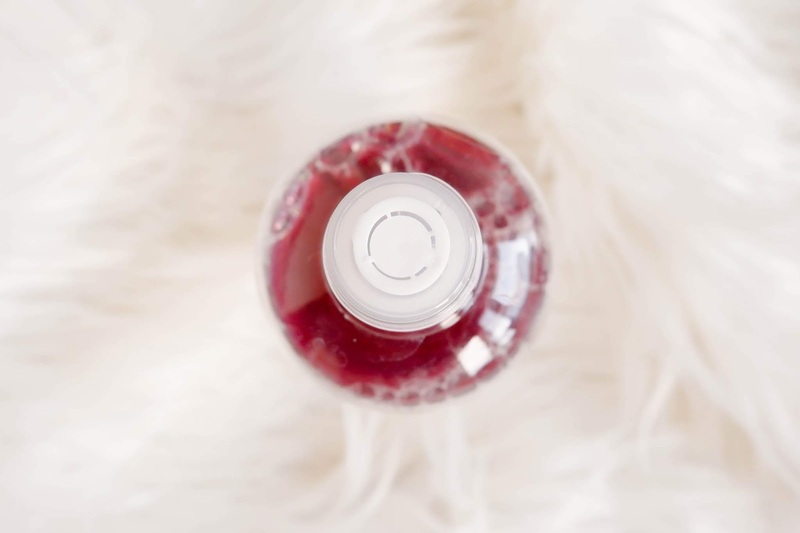 Recently, this bad habit of mine has been surfacing due to stress but the Raspberry Hair Vinegar helped me in fending off this bad habit because the treatment feels very cool and refreshing on my scalp. I really liked the feeling of the hair treatment flowing through my scalp, it was really relaxing. It didn’t address my main hair concern which was frizzy hair but it did make my hair soft and shiny. The price is not bad and you could always transfer the contents to a spray bottle so you don’t end up using too much in one sitting. 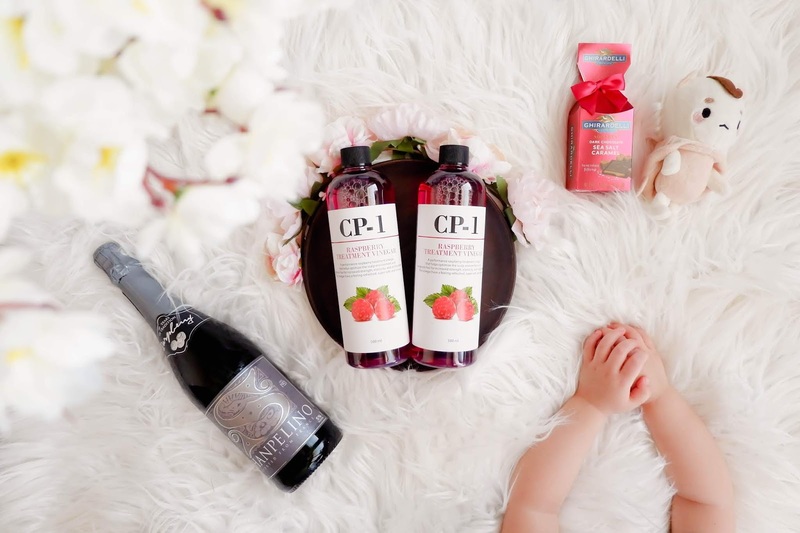 Using the CP-1 Raspberry Treatment Vinegar is way more convenient to use as compared to using apple cider vinegar on your hair since you have to dilute apple cider. I haven’t really tried using apple cider vinegar on my hair because I read somewhere that it could burn or irritate the scalp if you don’t dilute it well and I’m not really fond of the smell of apple cider. 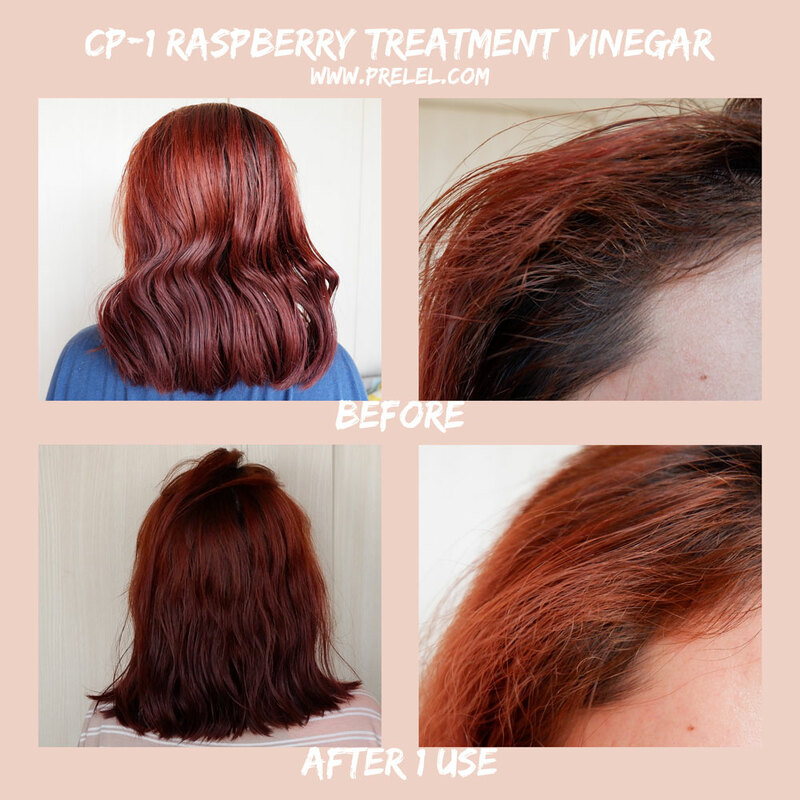 It’s currently on sale for P270 at Althea at ph.althea.kr/raspberry-hair-vinegar. Wow easier way to use on hair than Apple Cider vinegar. Does it smells good po Ms. Prelel?